This is the second year for the Minneapolis/St. Paul Business Journal's Business of Pride awards, which recognize outstanding LGBTQ business leaders, allies and advocates in the Twin Cities metro area who are making a difference in advancing equality in the business world and community, as well as demonstrating their own professional successes. Maslon is pleased to announce that Tom Pack, attorney in the Litigation Group, has been named as a 2019 Business of Pride honoree by the Minneapolis/St. Paul Business Journal. The award recognizes outstanding LGBTQ business leaders, allies and advocates in the Twin Cities metro area who are making a difference in advancing equality in the business world and community, as well as demonstrating their own professional successes. Tom represents businesses in product liability matters and in other complex business litigation. He helps clients navigate all stages of the litigation process throughout many forums, including federal and state courts, mediation, and arbitration. He also maintains an active pro bono practice in the civil rights and immigration law fields, with an emphasis on representing LGBTQ+ asylum seekers. Tom’s leadership in the LGBTQ+ community spans his firm, the profession, and the broad community. He is a member of Maslon's Diversity & Inclusion Committee and co-chairs Maslon's Diverse Attorneys' Resource Group. 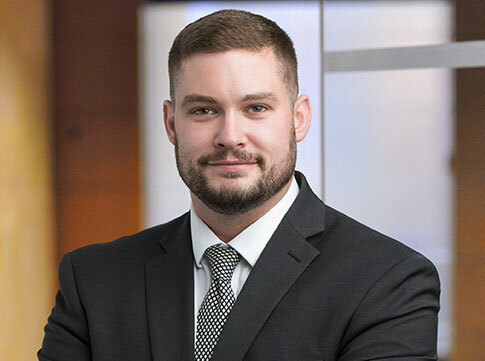 He also serves as a member of the Emerging Leaders Group for Twin Cities Diversity in Practice, the Young Lawyers Committee of the National Native American Bar Association, and the Diversity Subcommittee of the Defense Research Institute's Young Lawyers Steering Committee. Tom serves the larger community through his dedicated work on the board of directors for RECLAIM, a St. Paul-based nonprofit organization that provides mental health services and support for queer and transgender youth in the Twin Cities, so they can reclaim their lives from oppression in all of its forms. To read the announcement, go to: Minneapolis/St. Paul Business Journal, "2019 Business of Pride Honorees."